The correct spelling of this name is AASTA HANSTEEN. In her younger days, Norwegian feminist Aasta Hansteen earned her living as a portrait painter in Kristiania. Well known in the capital’s intellectual circles, Hansteen inspired characters in dramas by Ibsen and Gunnar Heiberg. 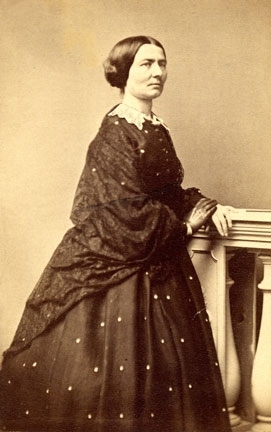 Her writings on behalf of women, her opposition to religious authority, and her provocative behavior—she often appeared at the lecture podium wearing men’s boots and brandishing a whip in a symbolic performance of the oppressor—incited such harassment that in 1880 she emigrated to the United States, where she lived for eight years, much of the time in Boston. Here she met some of the leading feminists of the day, including Lucy Stone and Mary Livermore, and was profoundly affected by the relative freedom of women in America. By 1889, when she returned to Norway, the feminist movement there was firmly established, and Hansteen was embraced as one of its pioneers.